This outstanding example of a 2019 Toyota Tacoma 4WD TRD Off Road is offered by Kendall Toyota of Bend. This vehicle comes with 4WD for better traction on unstable surfaces, like snow and dirt to give you the edge over anything you might encounter on the road. You can finally stop searching... You've found the one you've been looking for. This is the one. Just what you've been looking for. You've found the one you've been looking for. Your dream car. You can find this 2019 Toyota Tacoma 4WD TRD Sport and many others like it at Kendall Toyota of Bend. With 4WD, you can take this 2019 Toyota Tacoma 4WD to places roads don't go. It's all about the adventure and getting the most enjoyment out of your new ride. You can finally stop searching... You've found the one you've been looking for. There is no reason why you shouldn't buy this Toyota Tacoma 4WD TRD Sport. It is incomparable for the price and quality. Just what you've been looking for. With quality in mind, this vehicle is the perfect addition to take home. You can find this 2019 Toyota Tacoma 4WD SR5 and many others like it at Kendall Toyota of Bend. No matter the terrain or weather, you'll drive at ease in this 4WD-equipped vehicle. With exceptional safety features and superb handling, this 4WD was engineered with excellence in mind. The look is unmistakably Toyota, the smooth contours and cutting-edge technology of this Toyota Tacoma 4WD SR5 will definitely turn heads. This is about the time when you're saying it is too good to be true, and let us be the one's to tell you, it is absolutely true. There is no reason why you shouldn't buy this Toyota Tacoma 4WD SR5. It is incomparable for the price and quality. Contact Kendall Toyota of Bend today for information on dozens of vehicles like this 2019 Toyota Tacoma 4WD SR5. At home in the country and in the city, this 2019 4WD Toyota Tacoma 4WD SR5 has been wonderfully refined to handle any occasion. Smooth steering, superior acceleration and a supple ride are just a few of its qualities. This is the one. Just what you've been looking for. You can finally stop searching... You've found the one you've been looking for. Beautiful color combination with Midnight Black Metallic exterior over Cement Gray interior making this the one to own! Contact Kendall Toyota of Bend today for information on dozens of vehicles like this 2019 Toyota Tacoma 4WD TRD Off Road. This Toyota includes: HARD TRI-FOLD TONNEAU COVER Pickup Bed Tonneau Cover 50 STATE EMISSIONS Multi-Zone A/C Automatic Headlights Smart Device Integration Vinyl Seats A/C Climate Control Cloth Seats Heated Front Seat(s) Leather Seats Running Boards/Side Steps Premium Synthetic Seats MUDGUARDS (PPO) *Note - For third party subscriptions or services, please contact the dealer for more information. * Take home this Toyota Tacoma 4WD TRD Off Road, and you will have the power of 4WD. It's a great feature when you need to drive over tricky terrain or through inclement weather. Just what you've been looking for. With quality in mind, this vehicle is the perfect addition to take home. The Toyota Tacoma 4WD TRD Off Road will provide you with everything you have always wanted in a car -- Quality, Reliability, and Character. Contact Kendall Toyota of Bend today for information on dozens of vehicles like this 2019 Toyota Tacoma 4WD SR5. This Toyota includes: ROOF RACK (PPO) Luggage Rack WHEELS: 16 DARK SATIN ALLOY Chrome Wheels Aluminum Wheels Steel Wheels 50 STATE EMISSIONS *Note - For third party subscriptions or services, please contact the dealer for more information. * No matter the terrain or weather, you'll drive at ease in this 4WD-equipped vehicle. With exceptional safety features and superb handling, this 4WD was engineered with excellence in mind. There is no reason why you shouldn't buy this Toyota Tacoma 4WD SR5. It is incomparable for the price and quality. Just what you've been looking for. With quality in mind, this vehicle is the perfect addition to take home. Contact Kendall Toyota of Bend today for information on dozens of vehicles like this 2019 Toyota Tacoma 4WD SR5. This 4WD-equipped vehicle will handle majestically on any terrain and in any weather condition your may find yourself in. The benefits of driving an Four Wheel Drive vehicle, such as this ToyotaTacoma 4WD SR5, include superior acceleration, improved steering, and increased traction and stability. Look no further, you have found exactly what you've been looking for. You can finally stop searching... You've found the one you've been looking for. This is the one. Just what you've been looking for. This 2019 Toyota Tacoma 4WD SR5 is proudly offered by Kendall Toyota of Bend This Toyota Tacoma 4WD SR5 comes equipped with 4 wheel drive, which means no limitations as to how or where you can drive. Different terrains and varying weather conditions will have no effect as to how this vehicle performs. Look no further, you have found exactly what you've been looking for. There is no reason why you shouldn't buy this Toyota Tacoma 4WD SR5. It is incomparable for the price and quality. This is the one. Just what you've been looking for. This outstanding example of a 2019 Toyota Tacoma 4WD TRD Off Road is offered by Kendall Toyota of Bend. This Toyota includes: 50 STATE EMISSIONS *Note - For third party subscriptions or services, please contact the dealer for more information. * This 4WD-equipped vehicle will handle beautifully on any terrain and in any weather condition your may find yourself in. The benefits of driving a 4 wheel drive vehicle, such as this Toyota Tacoma 4WD TRD Off Road, include superior acceleration, improved steering, and increased traction and stability. Beautiful color combination with Silver Sky Metallic exterior over Graphite w/Gun Metal interior making this the one to own! Just what you've been looking for. With quality in mind, this vehicle is the perfect addition to take home. Contact Kendall Toyota of Bend today for information on dozens of vehicles like this 2019 Toyota Tacoma 4WD TRD Off Road. When Toyota created this vehicle with 4 wheel drive, they immediately enhanced the performance ability. Easily switch between two and four wheel drive to take advantage of the improved steering and superior acceleration. You've found the one you've been looking for. Your dream car. You can finally stop searching... You've found the one you've been looking for. The look is unmistakably Toyota, the smooth contours and cutting-edge technology of this Toyota Tacoma 4WD TRD Off Road will definitely turn heads. This outstanding example of a 2019 Toyota Tacoma 4WD SR5 is offered by Kendall Toyota of Bend. This vehicle comes with 4WD for better traction on unstable surfaces, like snow and dirt to give you the edge over anything you might encounter on the road. This is about the time when you're saying it is too good to be true, and let us be the one's to tell you, it is absolutely true. Just what you've been looking for. With quality in mind, this vehicle is the perfect addition to take home. The look is unmistakably Toyota, the smooth contours and cutting-edge technology of this Toyota Tacoma 4WD SR5 will definitely turn heads. Contact Kendall Toyota of Bend today for information on dozens of vehicles like this 2019 Toyota Tacoma 4WD SR5. This Toyota includes: HARD TRI-FOLD TONNEAU COVER Pickup Bed Tonneau Cover 50 STATE EMISSIONS MUDGUARDS (PPO) *Note - For third party subscriptions or services, please contact the dealer for more information. * When Toyota created this vehicle with 4 wheel drive, they immediately enhanced the performance ability. Easily switch between two and four wheel drive to take advantage of the improved steering and superior acceleration. This vehicle won't last long, take it home today. You can finally stop searching... You've found the one you've been looking for. This 2019 Toyota Tacoma 4WD TRD Off Road is offered to you for sale by Kendall Toyota of Bend. This Toyota includes: 50 STATE EMISSIONS HARD TRI-FOLD TONNEAU COVER Pickup Bed Tonneau Cover *Note - For third party subscriptions or services, please contact the dealer for more information. * Tackle any terrain with this 4WD Toyota Tacoma 4WD TRD Off Road. Off the road or on the parkway, you'll drive with confidence no matter the weather conditions or landscape. You can finally stop searching... You've found the one you've been looking for. The 2019 Toyota exterior is finished in a breathtaking Midnight Black Metallic, while being complemented by such a gorgeous Graphite w/Gun Metal interior. This color combination is stunning and absolutely beautiful! This 2019 Toyota Tacoma 4WD SR5 is proudly offered by Kendall Toyota of Bend When Toyota created this vehicle with 4 wheel drive, they immediately enhanced the performance ability. Easily switch between two and four wheel drive to take advantage of the improved steering and superior acceleration. You can finally stop searching... You've found the one you've been looking for. You've found the one you've been looking for. Your dream car. You could keep looking, but why? You've found the perfect vehicle right here. Contact Kendall Toyota of Bend today for information on dozens of vehicles like this 2019 Toyota Tacoma 4WD TRD Off Road. When Toyota created this vehicle with 4 wheel drive, they immediately enhanced the performance ability. Easily switch between two and four wheel drive to take advantage of the improved steering and superior acceleration. The look is unmistakably Toyota, the smooth contours and cutting-edge technology of this Toyota Tacoma 4WD TRD Off Road will definitely turn heads. The Toyota Tacoma 4WD TRD Off Road will provide you with everything you have always wanted in a car -- Quality, Reliability, and Character. You can finally stop searching... You've found the one you've been looking for. This outstanding example of a 2019 Toyota Tacoma 4WD TRD Sport is offered by Kendall Toyota of Bend. Take home this Toyota Tacoma 4WD TRD Sport, and you will have the power of 4WD. It's a great feature when you need to drive over tricky terrain or through inclement weather. There is no reason why you shouldn't buy this Toyota Tacoma 4WD TRD Sport. It is incomparable for the price and quality. This is about the time when you're saying it is too good to be true, and let us be the one's to tell you, it is absolutely true. This is the one. Just what you've been looking for. Contact Kendall Toyota of Bend today for information on dozens of vehicles like this 2019 Toyota Tacoma 4WD SR5. This Toyota includes: 50 STATE EMISSIONS MUDGUARDS (PPO) *Note - For third party subscriptions or services, please contact the dealer for more information. * Take home this Toyota Tacoma 4WD SR5, and you will have the power of 4WD. It's a great feature when you need to drive over tricky terrain or through inclement weather. This is about the time when you're saying it is too good to be true, and let us be the one's to tell you, it is absolutely true. You can finally stop searching... You've found the one you've been looking for. This 2019 Toyota Tacoma 4WD TRD Off Road is proudly offered by Kendall Toyota of Bend Do you encounter heavy snow, rain or mud when driving? No problem. With this vehicle, you've got the power of 4WD to help you overcome the toughest terrain. Based on the superb condition of this vehicle, along with the options and color, this Toyota Tacoma 4WD TRD Off Road is sure to sell fast. The Toyota Tacoma 4WD TRD Off Road will provide you with everything you have always wanted in a car -- Quality, Reliability, and Character. You've found the one you've been looking for. Your dream car. You can find this 2019 Toyota Tacoma 4WD TRD Off Road and many others like it at Kendall Toyota of Bend. This Toyota includes: 50 STATE EMISSIONS Multi-Zone A/C Automatic Headlights Smart Device Integration Vinyl Seats A/C Climate Control Cloth Seats Heated Front Seat(s) Leather Seats Running Boards/Side Steps Premium Synthetic Seats *Note - For third party subscriptions or services, please contact the dealer for more information. * Take home this Toyota Tacoma 4WD TRD Off Road, and you will have the power of 4WD. It's a great feature when you need to drive over tricky terrain or through inclement weather. You could keep looking, but why? You've found the perfect vehicle right here. This vehicle won't last long, take it home today. Come take a ride in the new Toyota Tacoma at Kendall Toyota of Bend! Built for dependability and endurance with high-strength steel, the Toyota Tacoma is ready for all of your off-road adventures with 9.4″ of ground clearance. Available with a 2.7L four-cylinder engine or powerful V6 and standard 6-speed automatic transmission, the Tacoma has the durability you expect and the power you crave. 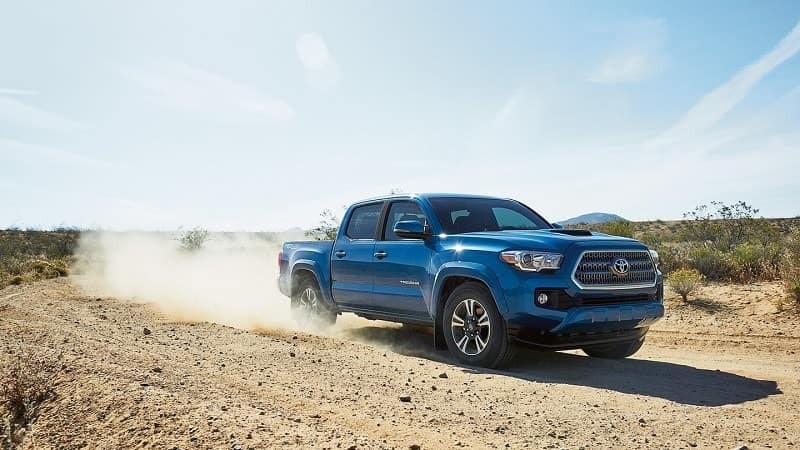 Choose from a variety of trim levels with the Toyota Tacoma SR, Tacoma SR5, Tacoma TRD Sport, Tacoma TRD Off-Road, Tacoma Limited, and Tacoma TRD Pro! The Toyota Tacoma in Bend is built for optimal safety and performance with the longevity you’d expect from Toyota. Whether you’re driving through dirt, snow, or on the highway, the Tacoma is a truck that gets the job done. Begin by browsing our available inventory of the Toyota Tacoma, then contact us if you have any questions. Our Toyota dealership is conveniently located at 61430 S Hwy 97 Bend, Oregon 97702. We’re just a short drive from La Pine, Sisters, and Prineville! Our experienced Toyota Finance Center is ready to assist you in finding the perfect finance option to meet your budget. We’ll also help you get the fair trade-in value that you deserve on your current vehicle. So, come test drive the Toyota Tacoma today, then drive home happy in your new Toyota truck! Keep the music at your fingertips with the Toyota Tacoma’s six-speaker sound system with steering wheel mounted audio controls. A responsive touchscreen interface and an integrated Go Pro mount that records your adventures adds a unique set of features to the truck that will have your friends entertained for years. Kick it up a notch by adding on the available integrated navigation system. Drive with confidence knowing you are protected by dual front impact airbags, dual front side-impact airbags, overhead airbags, and more. ABS brakes with brake assist provide stopping power when you need it the most. Other standard safety features include low tire pressure warning system, traction control, and speed-sensing steering. Add on the available reverse sensing system for even more coverage. With a 2.7L four-cylinder engine, six-speed automatic transmission, and powertrain with variable valve control and limited slip differential this is one tough truck. Front wheel independent suspension and electronic stability guarantee smooth handling no matter where the road takes you. Look no further for a midsize truck with the kick and style you crave. The Toyota Tacoma is a smart buy that you’ll love for years to come. 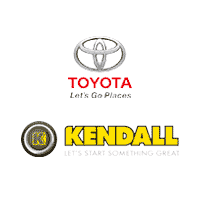 Get ready for the road ahead and come see us at Kendall Toyota of Bend today! Drive home in the perfect hardworking truck for your busy life!